After making such great progress with RFL and getting the go ahead in the bodyfat estimation thread I have decided it is time to jump on the UD2 wagon. I am excited to be working out more often (I say this before my first depletion workout) and actually have a more detailed plan to follow. UD2 is going to be rough with my work schedule, but I am sure I can tweak it to make it work. I am hoping to get into the sub 10% bf club by the time I head to the beach on June 21. It isn't that far away in the scheme of things, but I hope if I put forth the effort I will get the results I am after. Thanks! I will have a read through your long and see how you are fairing in your progress. Its the one in your signature correct? Some light PNF style stretching mostly for hamstrings, groin, and lower back. Getting "tight" really aggravates my lower back issues and I really need to work on my flexibility. Notes: After some careful deliberation I think starting the cycle on Tuesday will work best for my schedule. With the normal (Monday) routine I would have to do the power workout after working 12-18 hours at 12am or later (earlier?) on Saturday (Sunday?) and have to be at work early Sunday morning. On Sundays I am usually home by 9 pm and don't have a problem with a late workout since I won't have to be at work until Monday evening. I bought some cheap fish oil to get my by while I order some good stuff in bulk and also got my EC to last me a while. Will also probably order some creatine and l-glutamine to round things out. For the next few cycles at least I will be limited to free weights only as that is all I have access to. Will have to get a little creative especially on the lower body depletions as high rep squats + spondylolisthesis = PAIN! Now to enjoy some chili and watch some hockey! Last edited by SlyBlackDragon : 05-03-2010 at 08:17 PM. *only managed 1.5 rounds, this stuff is BRUTAL! Notes: Nailed my diet today, pretty happy with how it worked out. Feels kind of like RFL only a little more free. I really underestimated the depletion workouts, and found it really difficult and time consuming with only free weights. I did lunges for quads, but couldn't think of a safe way to work my hamstrings with high reps without endangering my back. I am trying to hammer out a good deal with a local gym so hopefully I can remedy the situation before too long. Sad part is I have to do it all over again tomorrow, please help me God! 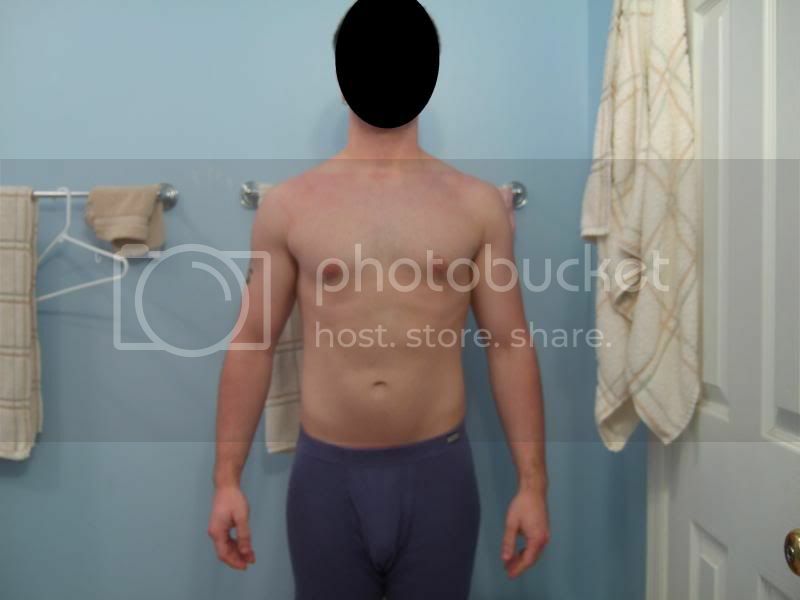 BF% ~15 (according to diets in aforementioned thread) from my first post in this thread, man I am losing it Meant to say estimates, how did I screw that up? *managed to complete both rounds this time, but I wasn't happy about it. Notes: Feel truly awful right now, but I guess that is a good sign. I feel leaner already, also flat and deflated...which is what I am shooting for with depletions, I guess. Hunger has been a real issue so far. I think I am going to try and condense this into 2 or 3 larger meals and load up on raw broccoli with a little fat free ranch or something to help with hunger pains. I really hope this works and this suffering is all worth it in the end. The ends justify the means, or something like that. Notes: Still feel pretty terrible, must be doing something right. I am extremely sore, especially my quads. No idea how I am going to make it through the tension workout tomorrow. Speaking of which, tomorrow is going to be kind of weird. I won't be able to workout until around midnight, so I will break the low carb phase about 10 or 11 pm. Hope that isn't a big issue as long as I get the workout in and the correct amount of carbs over the following 24-30 hours. 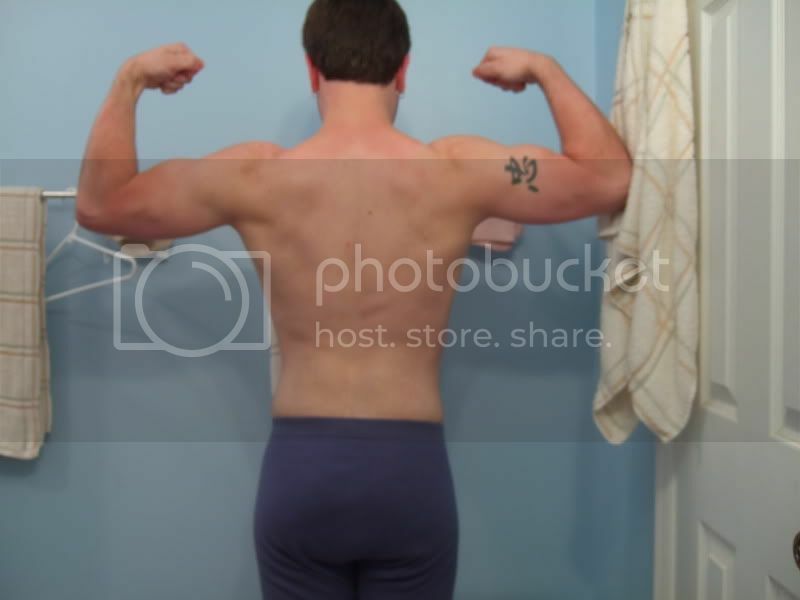 Weight: 166.6 lbs -.8 lbs eep! Was supposed to do the tension workout, but work got in the way. Was going to do it at night when I got home from work, but that was at 1:30 am and I have to be back at 9:30 in the morning! Notes: As stated above I kinda messed up today. Had some extra carbs for my workout when I thought I was leaving work, but got stuck there for an extra 4 hours. Will stop the carb up now and pick it up around noon tomorrow when I do the tension workout. Make sure you keep 24hrs between tension and power and don't go too hard in the tension workout or you'll be knackered for power. What do you mean by "I'll stop the carb up now"? Did you start it without doing the tension workout? Yeah, I did semi start it. In the book it states to have a shake with carbs and protein or a protein bar. I didn't have either so at work (restaurant) I had a small sweet potato with my meal when I thought I was about to leave. We had a late rush and I had to stay for an extra four hours before I was able to go home and I wasn't working out at 2 am and having to function on almost no sleep for the next day. Hope this isn't too catastrophic, but I am not too bothered by it. Lyle states in the book that it takes most people a round or two to get in the swing of things.